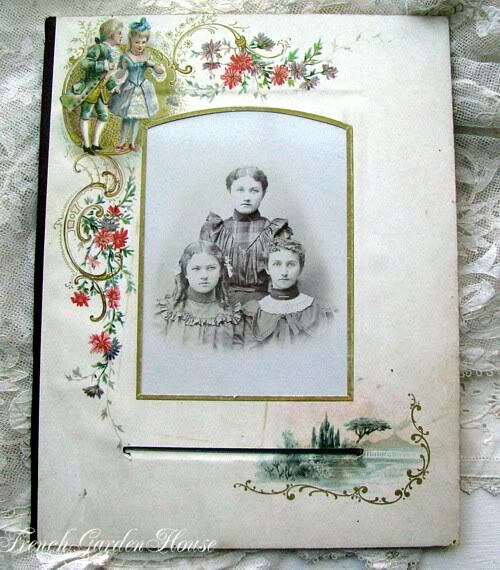 Fabulous Victorian Photo Mat, circa 1890. This was salvaged from an antique photograph album that was beyond repair. Featuring the most adorable illustrations of a French character couple in period costume, luscious Scrolling and Floral Bouquets, in great colors and with touches of gilding. There is slight discoloration, the plain paper back of the mat has a paper tear, but the front is free of rips and tears. So wonderful for framing with a sweet photo of someone you love inside! 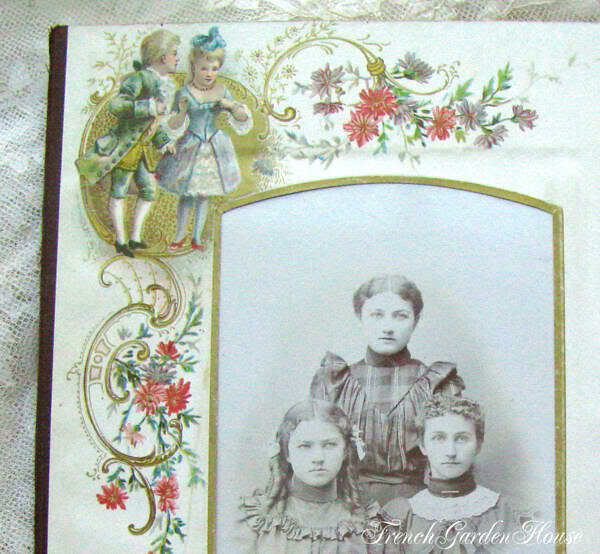 Comes with the original Victorian photograph inside, "as found" as a bonus. Easily removed for adding your own portrait. Measures:mat: 10" x 7-1/2";photo opening measures 5-1/4" x 3-3/4".